Born on October 19, 1989, Martin Tonso's age of 29 exceeds his team's mean. With a height of 1.75m, Martin Tonso undercuts Aris Thessaloniki FC's mean tallness by 4. He is a right footer just as 76% of Aris Thessaloniki FC. 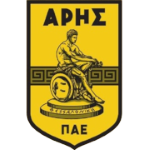 These days, his team Aris Thessaloniki FC comes fifth place in Super League (Greece) plus third place in group Gr. 4 of Greece Cup (Greece). Martin Tonso played 16 matches this season. Spanish midfielder Martin Tonso, who is currently under contract to Aris Thessaloniki FC in Greece, joined the club January 12, 2019. Concerning the latest matches, his club won in Super League plus tied in Greece Cup. Throughout his professional career, he participated in 170 games, the last appearance being eleven days ago. Martin Tonso's jersey displays the number 9. This season he scored five and assisted no goals which is 10.8% of all of Aris Thessaloniki FC's goals in Super League 18/19 (Greece). On average, he hit the net 0.31 times per match this season which is a better performance than last year's. Back then 0.17 goals and 0 assists per match have been achieved. Altogether, he was substituted in 46 and out 71 times. Currently, he left the pit more than he entered it which holds true for last season as well. 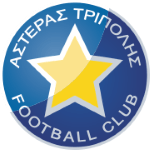 Super League 16/17 (Greece) has been Martin Tonso's best season so far since he scored his personal highest amount of goals. Weighing 145.5lb, he measures 19lb less than the average player on Aris Thessaloniki FC. Before joining Aris Thessaloniki FC, he impressed at Asteras Tripolis, Colo Colo, Atromitos Athens and Newell's Old Boys. 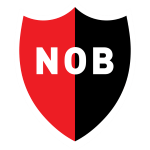 Three months has been the stubbiest period that Martin Tonso was contracted to a team (the current one) His record stay with a club is Newell's Old Boys (Argentina) with five years and 7 months. Already 29 times a card was given to him in his tenure. 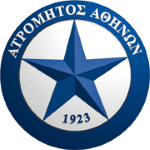 Besides Martin Tonso, there are 16 more midfielders in Aris Thessaloniki FC's lot: Hugo Sousa, Charalambos Pavlidis, Javier Matilla, Lefteris Intzoglou, Manolis Tzanakakis, Manolis Siopis, Dimitris Anakoglou, Haris Stamboulidis, Nicolas Martinez, Paraskevas Kallidis, Mateo Garcia, Bruno Gama, Giannis Fetfatzidis, Migjen Basha, Nicolas Diguiny and Kyriakos Savvidis.